Working in Edinburgh today, so headed through extra early and enjoyed a walk around Arthur's Seat before my first meeting. Two Ravens were being mobbed by Jackdaws and crows near the Gutted Haddie, while three Stock Doves gave excellent views along Samson's Ribs. Round at Dunsapie, the Mandarin drake failed to show but a Kestrel scrapping with two crows high overhead was ample compensation. 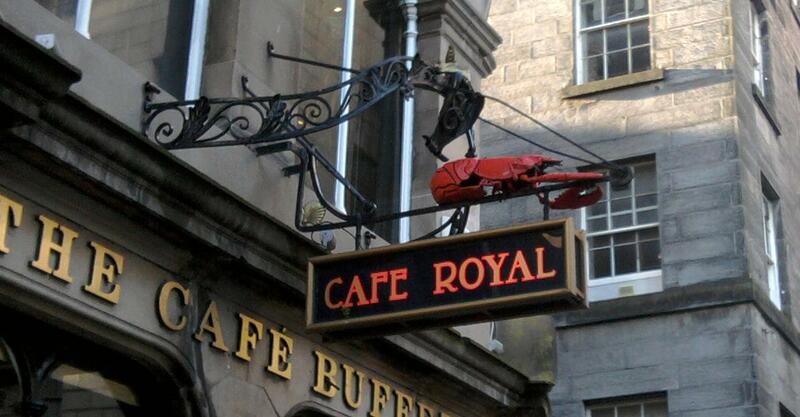 The light was perfect for photography, but time was limited so only managed a sentimental shot of the Lobster outside the Cafe Royal.